Oxford 2006: a young woman is found brutally murdered, her throat cut. Her heart has been removed and in its place lies an apparently ancient gold coin. Twenty-four hours later, another dead woman is found. The MO is identical, except this time her brain has been removed, and a silver coin lies glittering in the bowl of her skull. The police are baffled, but when police photographer, Philip Bainbridge and his estranged lover, Laura Niven become involved they discover that these horrific, ritualistic murders are not confined to the here and now. And a shocking story begins to emerge which intertwines Sir Isaac Newton, one of seventeenth-century England’s most powerful figures, with a deadly conspiracy which echoes down the years to the present day; as lethal now as it was then. Before long those closest to Laura are in danger, and she finds herself the one person who can rewrite history; the only person who can stop the killer from striking again. 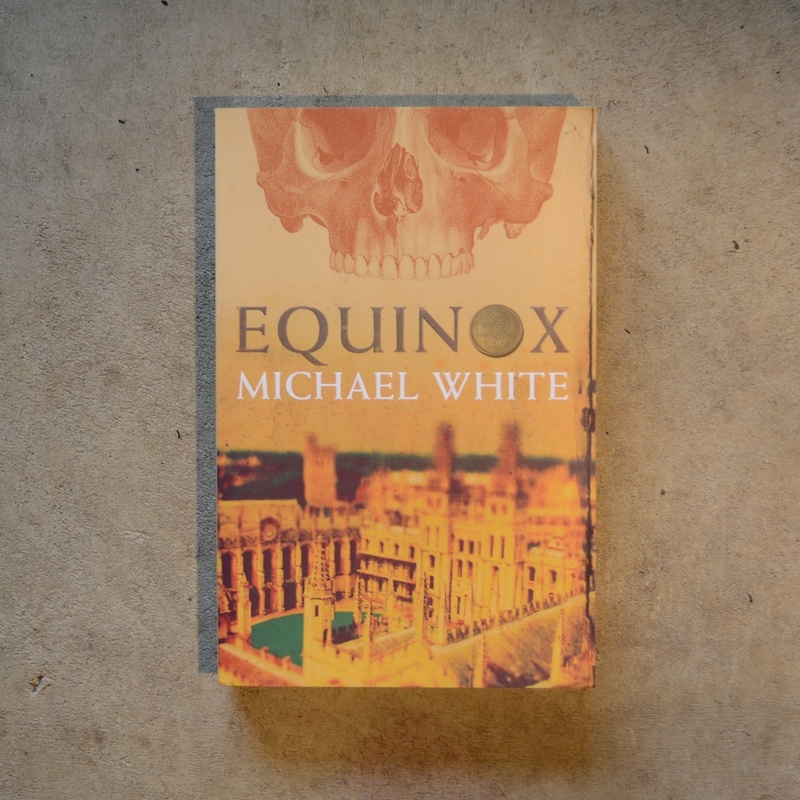 Equinox was Michael White’s first novel, it reached the Sunday Times Top 10 in the UK and was translated into 35 languages.